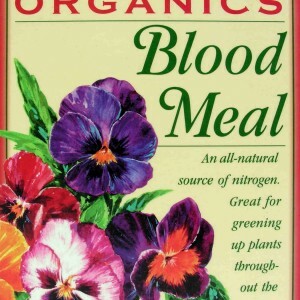 Plants require specific nutrients and types of soil, and for many plants those requirements differ. 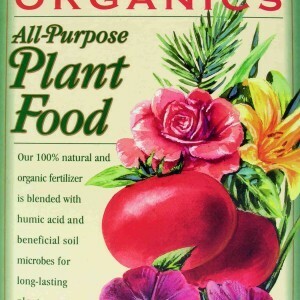 For example, some plants grow best in alkaline soils, where the pH of the soil is 7 or above. 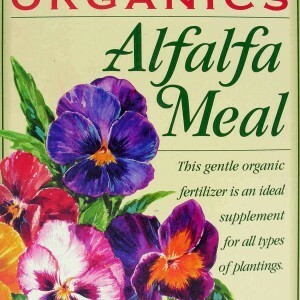 Alkaline soil typically has lower solubility than acidic soil, which reduces nutrient availability; it is therefore less suitable for plant growth. Soil with a pH of approximately 5.5 is considered acidic. 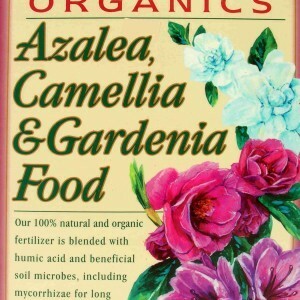 There are a number of plants that prefer acidic soils, including azaleas, camellias, rhododendrons and Gardenias. In the U.S., acidic soils are most common in the Pacific Northwest and on the East Coast. 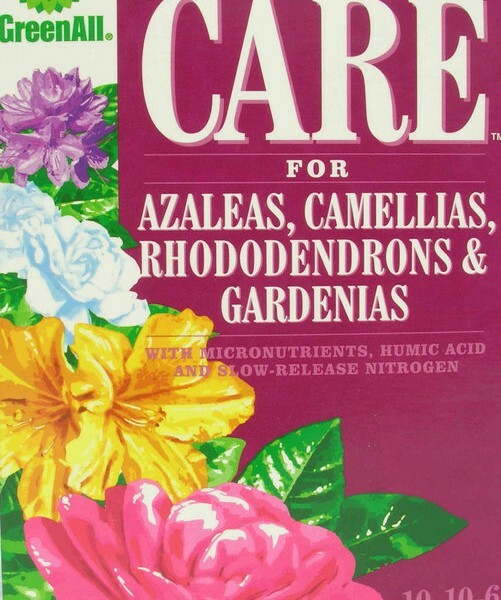 If you are trying to grow acid-loving plants in your garden or yard and not succeeding, it may be that the pH of the soil is not low enough. Blue hydrangeas are a good indicator of soil’s pH; they will have pink blooms when the soil is not acidic enough. 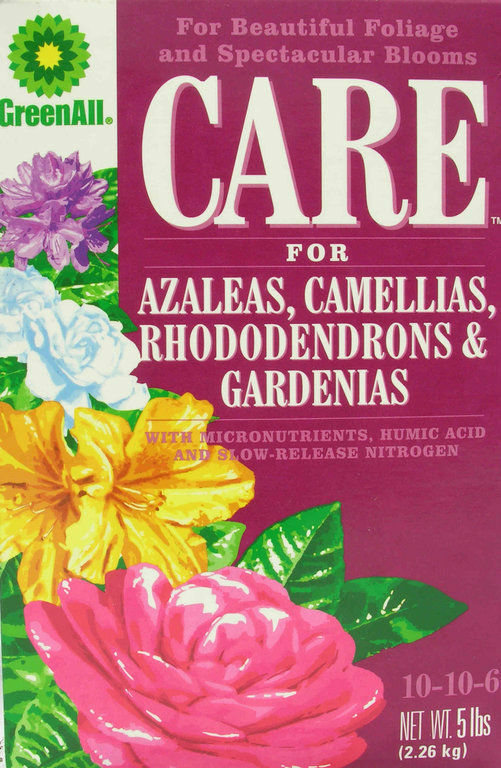 One way to improve the growth of your acid-loving plants is to use GreenAll CARE for Azaleas, Camellias, Rhododendrons and Gardenias. 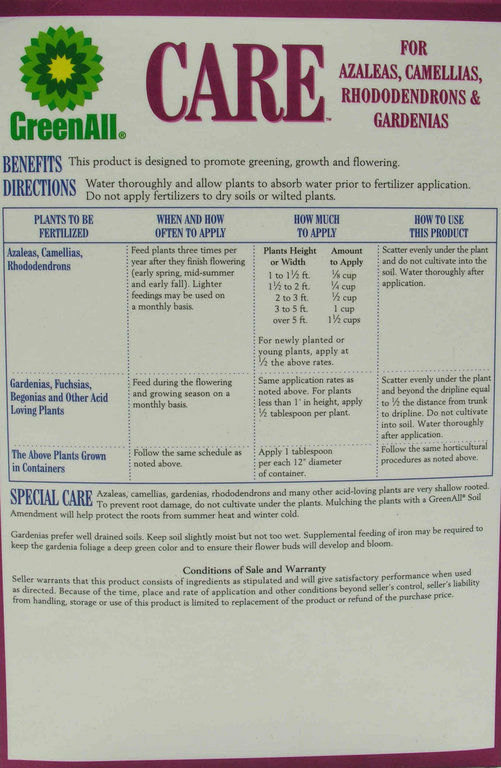 GreenAll CARE contains a mixture of humic acid, slow-acting nitrogen and various micronutrients that are important for healthy plant growth. 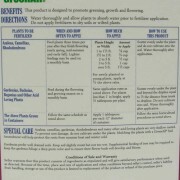 GreenAll CARE should be applied to plants lightly on a monthly basis during their growing and flowering season and three times a year after flowering season. It should be scattered around the plants and cultivated into the soil, but not so deep that it disturbs the shallow root systems.